Paid surveys are victims of misconception and abuse. You may think that simply because it is an online job and that it is associated with money, there is an enormous chance of it being a total hoax. If you'll only analyze the situation better, you'll realize that not all online jobs are frauds. Paid surveys, in particular, are infamous for enabling people to generate money through simple means. Many survey-takers can attest to the benefits that paid surveys have granted them; furthermore, they can prove to you that paid surveys is as legit as any other online job that people have succeeded in using. The real problem that people suffer from is the common mistakes they make before and during their survey-taking career. These mistakes lead them to believe that nothing good comes out of paid surveys. Rest assured, there is a remedy you can apply to turn your situation around. In this article, the team at Crowdology proposes some tips to make money online with online surveys, the correct way. 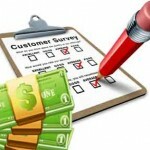 Are you guilty of pursuing paid surveys with the intention of using it to get rich? Did all the false advertisements get in your head? You're not the first person to fall for their ridiculous promises of unprecedented wealth and fortune. While it is true that paid surveys can give you genuine cash, it cannot compete with or surpass the income you receive from your day job. Don't use this as a reason to stop sending out your resume; the proper way of exploiting paid surveys is by treating it as a supplement to your income. This is the means by which you will expound your current earnings and lighten the load of paying bills. Spare yourself from disappointment by setting right expectations of your proceeds from paid surveys. Anticipate an improvement in the results you get based on your performance and not on other people's claims. Unless you were born with the gift of inhumane mental abilities, you won't be able to handle the pressure of dealing with too many survey panels. Paid surveys are difficult to convert into a full-time job. You'll want to keep your involvement with it in check to reach maximum outcome without sacrificing your other commitments. Neglected and disorderly, the survey invitations in your inbox have the tendency to turn so daunting that you'd prefer to steer clear of it altogether. Learn to sort and classify the panels as you get to know them. Scrutinize the mechanisms in which they function and the degree in which they benefit you. Focus is integral in this endeavour. Dividing your attention to too many directions will produce inferior results. Have you ever attempted to answer every single survey that you received? There is right time for everything; and pursuing the completion of all surveys sent to you by the panels is only beneficial during your first week. 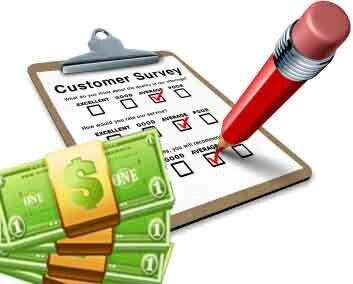 You must have an idea regarding how much you can earn taking paid surveys. Be prompt in completing the initial batch of surveys to impress upon the surveyors that you are serious in this endeavour. Keep in mind that sites that pay for taking online surveys are run by actual employees. They'll want to invest on the most dedicated members among the bunch. 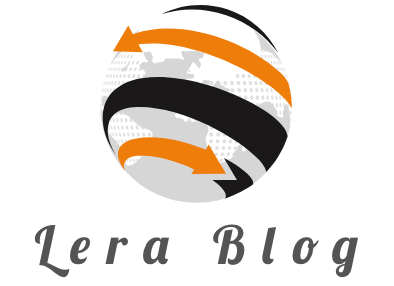 This means, for you, a better chance of receiving high costing surveys on a regular basis. The preceding months after your first week, you can begin to be selective of the surveys you choose to complete. Examine the surveys that add to your collection of points. Remember that your aim is to surpass the minimum point requirement for redeeming. If you have twenty minutes to spare while in the office, which between the following will you choose: the thirty minutes survey that rewards ten points or the fifteen minute survey that rewards five points? Choose the one that is most likely to suit your schedule and merit you at the same time. Survey panels have come up with multiple alternative means through which their members can build their points. You can refer certain panels you've joined to friends and family members. Each new participant that registers for that panel is equivalent to a certain number of points for you. Many survey panels incorporate this referral program to help their members earn points faster. Focus groups are also a great means to boost your earnings. Online interviews are conducted simultaneously, after which you will be rewarded. Mystery shopping and coupon printing are among those alternatives. Break the monotony by venturing to these side-jobs once in a while.